It’s only one week left until December 1st, and we are busy preparing for Christmas countdown. Here are some ideas on how to celebrate this magical time of the year. Even though we are a secular family, we enjoy counting down to Christmas starting December 1. I wrote about our Advent traditions before – mostly they include Playmobil Advent calendars and a lot of chocolate! 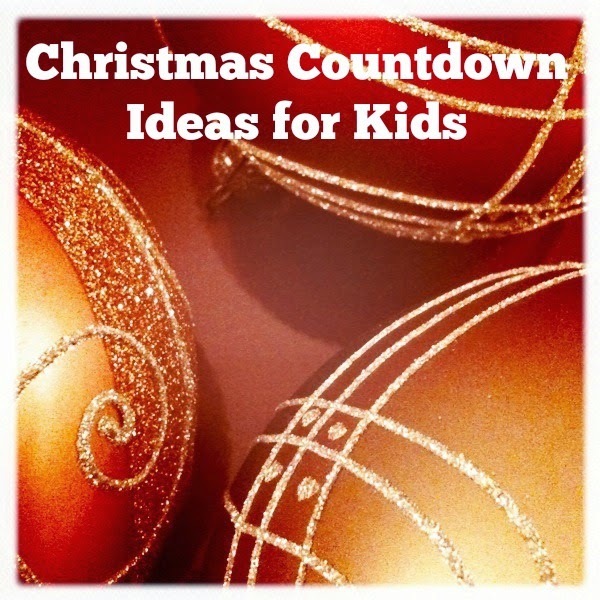 This year, however, I was inspired by my friend MaryAnne from Mama Smiles: Joyful Parenting to make a book Christmas countdown. It helped that I had some extra time, because my family was enjoying a traditional “German meet up” with my husband’s brother in Florida. I pulled out all our Christmas and Hanukkah books out and discovered that we have 21 holiday books. I got three new books this year to add the list to 24 – two for special days and Mortimer Christmas Manger, because I really enjoyed it and wanted to have it in our personal library. I combined our book Christmas countdown with Advent Jokes Calendar from Modern Parents Modern Kids. I used her free printable jokes as tags on our books with the joke on the opposite side. I am sure that Smarty will enjoy these jokes! In addition, I put an activity card inside every book. My goal was to make these activities doable and unique to our family. For example, there are cards about my birthday, Smarty’s performance in school musical and in her choir’s Winter Showcase, going to see The Nutcracker, etc. I am moderately optimistic that we will actually do these activities since I was careful to put more involved activities on weekends or after the school break starts. I will tell you very honestly – I don’t support Elf on the Shelf craze. I don’t have time or energy for that little creep who is supposed to spy on my kid and report to Santa on her behavior. However, some ideas are entertaining, especially Elf on the Shelf Reads Books from Growing Book by Book. It’s sort of a cross between Christmas book countdown and classic Elf on the Shelf approach. A much better alternative to a naughty Elf on the Shelf are The Kindness Elves. I first discovered them last year on The Imagination Tree, but I felt that my 7 year old is a bit old for that tradition. I would definitely consider introducing the Kindness Elves to younger kids. The Imagination Tree also has a post with 25 ideas for the Kindness Elves, so if you have time to follow along, it’s a great way to count down to Christmas with good deeds. I’ve seen Coffee Cups and Crayons random acts of kindness printable advent calendar all over my Facebook news feed. I love the idea of that, but I have to be realistic about our December schedule. It’s not that we will not be focusing on kindness, but I’d rather not force something when we are all overwhelmed with rehearsals, school assignments, and Christmas preparations. I’ll still make an effort to follow along as much as we can! Jesse Tree tradition seems to be popular with more religious of my blog friends. Being a secular person, I do not have a lot to say about Jesse Tree, except that it seems to bring a lot of focus to proper count down to Advent. Feels Like Home has a FREE e-Book with everything you need to start your own Jesse Tree. Do you have some sort of Christmas Countdown? How do you do it? I'm like you and not very good at a Christmas countdown. I start them and then end up with several days to do together, and it just never goes well. I love the way you set up your book advent calendar - with the joke cards and the activities inside. Great idea!